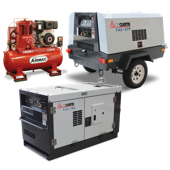 With more then 25 years of experience, Enerquip pride themselves on delivering air compressor and compressed air solutions throughout Australia and the Asia Pacific region. Ten important reasons why our clients choose Enerquip as their trusted Compressed Air Technology partner. 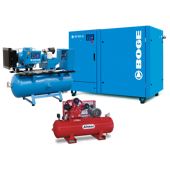 Reputable: Enerquip Pty Ltd provides & manages compressor systems for global companies that collectively produce goods that exceed many millions of dollars in value every year. Professional: Enerquip Pty Ltd has a broad client base covering multiple industries and this allows us to draw upon the extensive knowledge of each industry's best practices. Dependable: Enerquip Pty Ltd has technicians & support teams that provide 24 hours a day / 7 days a week service & technology assistance where required. Latest Technology: Enerquip Pty Ltd follows a best-of-breed approach to provide the highest level of quality and service. Our equipment utilises world class monitoring systems to help ensure all equipment & services we manage for our clients are always kept running at an optimal level & condition. Established: Enerquip Pty Ltd has a proven track record, with stable management and low staff turnover since inception in 1990. Our combined industry experience exceeds the industry norm. Australia wide: Enerquip Pty Ltd has national service representation throughout Australia with experienced service technicians located in every state. 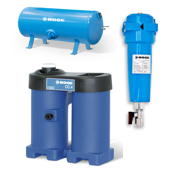 Pedigree: Enerquip Pty Ltd has built alliances with some of the world's top providers of cutting edge Air Compressor technology, filtration and hi-tech compressed air filtration systems. Proudly Australian: Enerquip Pty Ltd is a 100% Australian (Queensland) owned company. Peace of Mind: Enerquip Pty Ltd has comprehensive public liability insurance cover & employs only "trade qualified" technicians. Fast: Enerquip Pty Ltd is big enough to act, yet small enough to react.